We encourage Churches to reach its community with the gospel of our Lord Jesus Christ in every possible way. Our objective is not only to play but to win people to Christ, just as Paul said, ‘to the Jews I became a Jew in order to win Jews. To those under the law I became like a man under the law, in order to win those under the law.’ 1 Cor. 9 : 20. God does not want to loss any single soul in sporting world because God knows that greatest industry in the world is sport and half of the population involves in sport some how. Through sport we can easily communicate the gospel. Sport is one of the few activities in the world that bring people together no matter where they are on the globe. Color, race, language, religion, age and gender are all forgotten on the sporting field. Many sports organizations and agencies have long known of the benefit of being involved in sport and serving sports people as a way to connect with their cultures as well as to build a bridge of friendship and harmony. Sports is one of the ministry of Church in Nepal Network. Our Churches have seen the potentiality and opportunity to reach youths for Jesus through the mediums of Sport. We encourage Churches to reach its community with the gospel in every possible way.the gospel. Sport is the universal language and bridges the gap for friendship and unity. Sport. When we think of the Church we only think of the building. Sport is a Church in the Pitch. We don’t bring people to Church, we should be taking the Church to where the people are. Are we right? In most societies, athletes are role model. What they do or what they say is observe and remembered. There are large number of athletes who love God and care for the poor, orphans, prisoners, aids victims, etcs. Ever growing Christian athletes share their faith on Radio, televisions, medias and makes local, national and international impacts. Very often when an athlete proclaims their faith it opens opportunities for other believers to share their faith with others. We are a community of ex-players from different walks of life as well as from different sporting background. Members of this club is spread all over Nepal but we all believe that we can do better together and thus bring glory to God and the improvement in the football. This is also the first club in the country that has been registered in company (limited) category. We aim to train an emerging age group players in the football academy and profit from it when transferring to other clubs. Thus, we believe that this will help raise the level of football in the country to a certain standard where all the parties benefits. We all together can create an opportunity for everyone. Sport is one of the few activities that bring people together no matter where you are on the globe. Color, race, language, religion, age and gender are all forgotten on the sporting field. Many sports organizations and agencies have long known of the benefit of being involved in sport and serving sports people as a way to connect with their cultures as well as to build a bridge of friendship and harmony. participate and organize various types of sport events to help fulfill national sports theme: Vision 2020-Sports for National Pride and Healthy Citizen, and establish academy for various sports. Write to us about what you think about us. 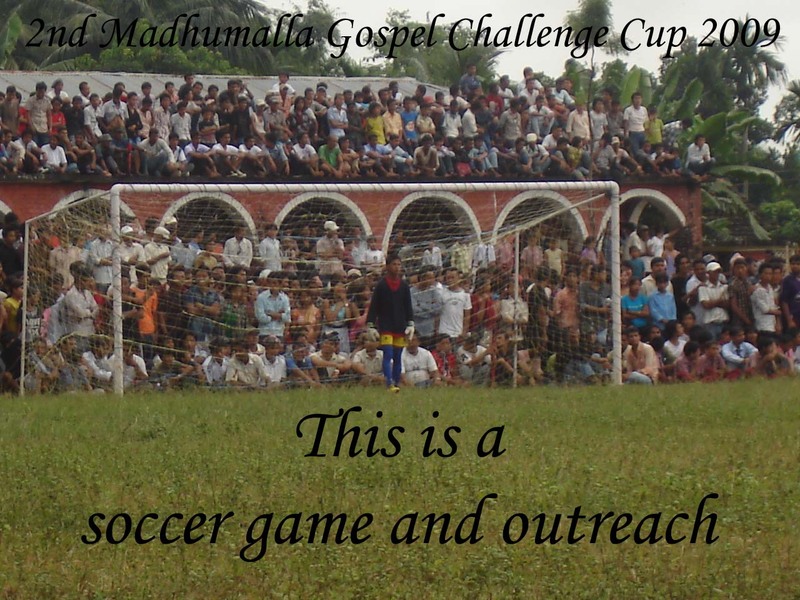 In this single tournament, 17000 people heard the gospel of our Lord Jesus Christ.